Because we can help you get your message out to the English speaking community in Korea. We average more than 3,000 unique visitors and 5,000~10,000 page views each day, with about 65% of our traffic coming from Korea. Additional information about our traffic statistics can be provided upon request. Videos will be hosted on 3rd party video sharing sites like Youtube and advertisers can change videos as often as they like. Can be combined with other packages - contact us for customized ad packages. Views: A 'view' is anytime your ad loads on a page. Advertisers can change the content of their ad (text or banner), view statistics, and take the ad temporary offline whenever they like. All 6 month+ ad packages now include a front page 120pixel banner in the Sponsors Section. It is important to us that our advertisers are reliable and have generally positive reputations. It is our hope that this will build trust in Koreabridge and our advertisers. We don't expect perfection, but we don't want to promote those who are not responsible members of the community. For this reason, we'd like our advertisers to create a listing in our business/organizations directory and we ask that they respond to concerns or complaints they may receive from users and allow users to provide feedback and/or ratings on our site. We will not allow rude or inappropriate posts, but we will allow civil comments (positive or negative). If we hear too much negative feedback about any of our sponsors, we reserve the right to terminate our advertising arrangement and refund any unused portion of advertising fees. We use Paypal for all payments - a Paypal account is not required, only a credit card. We do not currently accept payment by domestic bank transfer. You can make payments on our Payment Page. If you would like to promote your business, but are not ready to pay for advertising, you can create a business listing for free by registering and clicking create/business listing. 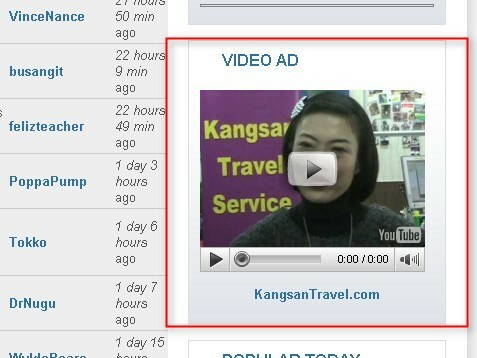 If you have questions or would like to begin advertising on Koreabridge, please contact us at manager@koreabridge.net.